I want to post a quick video on creating a Gantt Chart in Excel. As an example, professionals , managers or project controls may not have access to a scheduling software. However, their could be a need to create an executive Level 1 or Level 2 schedule. 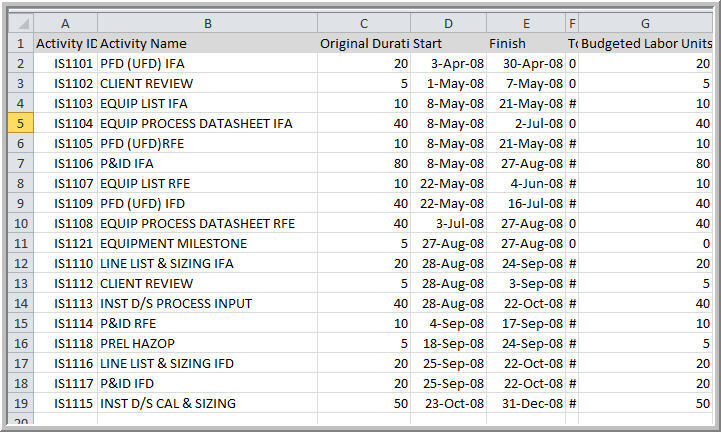 This method allows for the Gantt to be somewhat dynamic for purposes of updating. Now follow my instructions on the video. In case you were not able to build the Gantt, I've added a downloadable example in Excel.